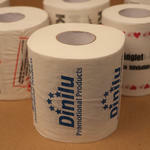 Custom printed toilet paper is a great promotional item or funny gift. Printed with a logo or design of your choice, you will be with your customer in a very quiet and private moment. Our customers have used these on WC's to warn for organization safety issues, promoted their companies, inform of health risks, recruited new employees and made fun of competitors. 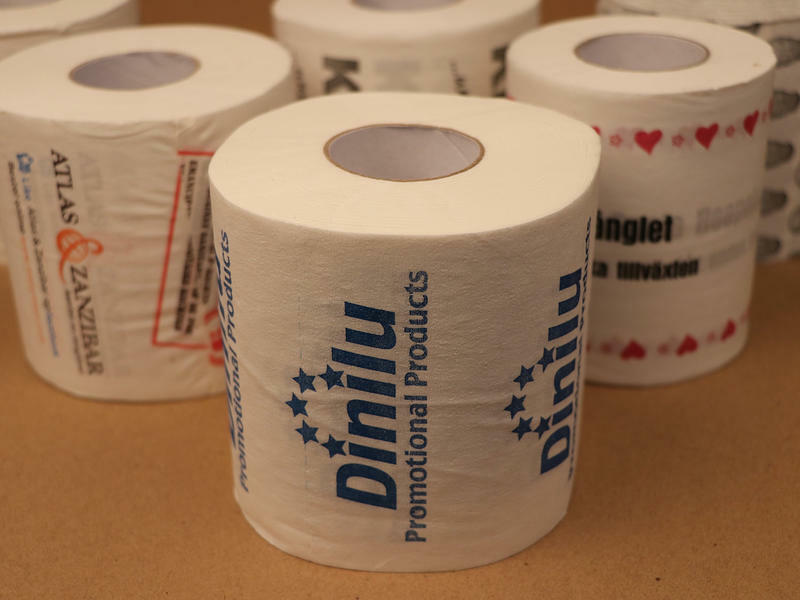 Used on company toilets, trade fairs, POS, care packages, handouts or even sold for commercially or for charities. 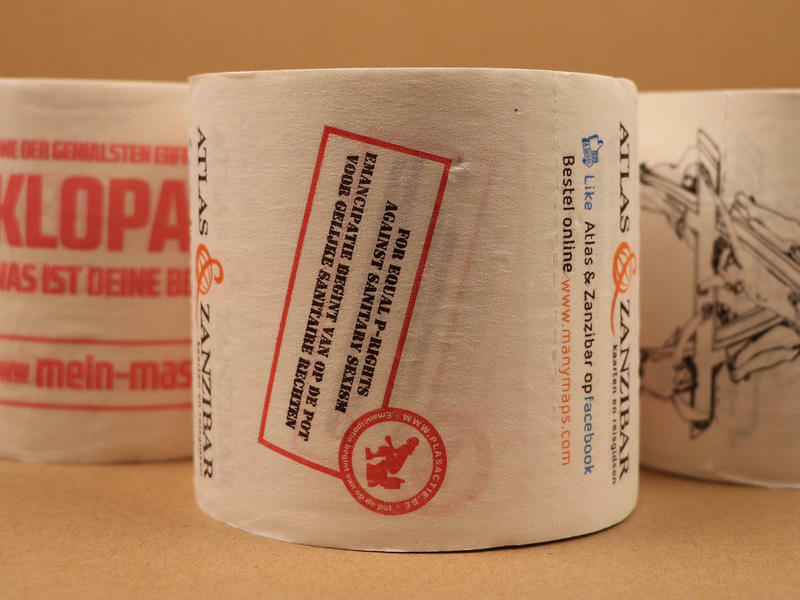 Choose a short and small 2-ply roll for a nice gimmick or a longer 3-ply standard size roll for comfort and quality. The design can be printed up to a length of 90 cm and will repeat throughout the roll. 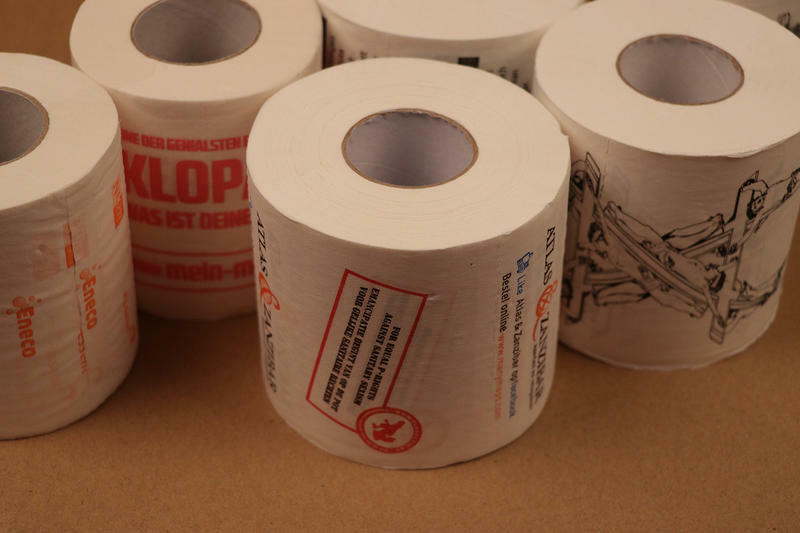 Sadly printed toilet paper is not the greatest medium for full colour printing, most of our customers use a maximum of 2 PMS colours. Use the continuous printing for patterns without gaps. Please contact us for all possibilities or check below for a quick quote with price and delivery time. The size of the individual sheets. Save 17% per piece by doubling your order to 2.000 pieces.